Why is the iClique seaview 180 full face snorkel mask the best? Our snorkeling gear is made of a softer silicone, which does not cause discomfort for the diver. This full face dive mask tightly adheres to the face, but doesn’t press or rub. The seaview face snorkel mask doesn’t mist up thanks to the air outlet valve located at mouth level. Your breathing (through the mouth or nose) will not cause misting or decreased visibility with the seaview 180 GoPro compatible snorkel mask. Our easybreath snorkeling mask doesn’t leak, always remains crystal clear. We use a more convex glass design, which allows the seaview full face snorkel mask to provide a full 180° view. The design of the seaview 180 degree panoramic snorkel mask includes a special tube which you don’t have to keep in your mouth. When you put on the iClique farsighted snorkeling mask, you immediately realize that you can breathe underwater with the same comfort as you have on land. With our easybreath snorkel mask and snorkel vest anyone can go diving. The iClique prescription snorkel mask is suitable for all head shapes and sizes. 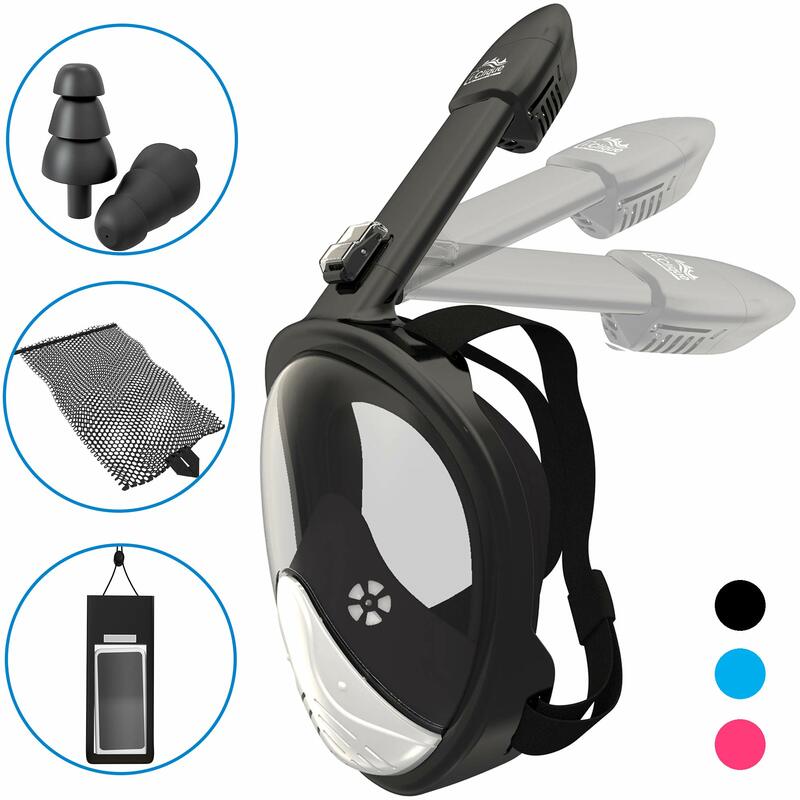 The most important part is to fit the straps in a way so that best snorkel gear tightly adheres to the face without causing pressure or discomfort. The removable universal clamp for any model of GoPro camera allows you to easily take pictures or videos of your dives. Attach the camera to the snorkeling equipment and enjoy new impressions and magnificent shots! L/XL – over 12 cm.